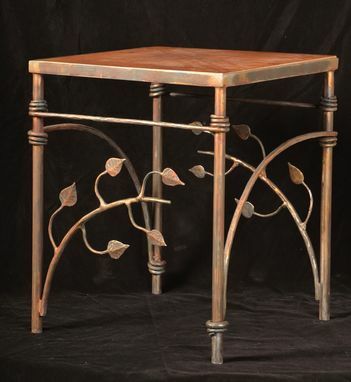 hand forged small side table, solid steel. designer tile top. coppery-brown finish. Client can order alternate finish for steel. Order this table, or custom order one of your preference in a different dimension. (will affect cost).